Road tripping took a turn when our kids grew up. 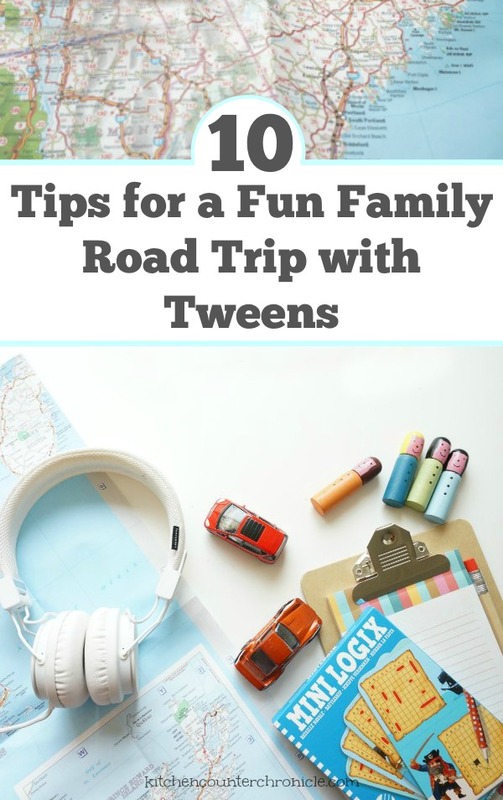 Check out our simple tips for having a fun family road trip with tweens…it can be done and it can be fun. I would stare out the window dreaming about what road tripping would be like when I was the parent…things would be different. So, as we start planning another epic 10 day road trip to the east coast of Canada this summer, I am preparing for a tech-free (or minimal) road trip with my tweens. Plan Together – As soon as you know where you are going it is time to involve your tween in the planning process. Have a family vacation planning meeting. Chat about where you are travelling to and let your kids provide input into the trip – are there places they would like to visit, would they like to go for hikes, would they like to spend time at the beach or would they like to visit a particular tourist spot. You might be surprised by what your tweens know. If your child isn’t sure, then head online, or to your local library, and do some research on where you will be vacationing. Be Considerate – Take your kids, bags full of your stuff, yourself and your spouse and stuff them in a 6′ x 4′ space – for hours on end…sounds like a nightmare, but it’s a road trip. 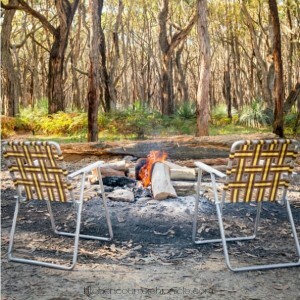 Long road trips require great consideration for each other. Arguments are amplified, but the fun is too. Have a conversation with your tween about what it means to be considerate to each other. Discuss behaviour expectations before you hit the road. Then take a deep breath and know that “be nice to your sister” is going to be your broken record for the duration of the trip. Organized Space – The back seat of a car can be cramped, hot and stinky. Before heading on your road trip, clean out the backseat. Find ways to keep the backseat organized. Assign each child her own entertainment bag…filled with everything she needs to be entertained on the trip. Stock the back seat with plenty of napkins and a garbage bag, or two. An organized space is a much more comfortable space to spend time in. Plenty of Food – We learned this lesson on our last road trip, to NYC. Kids (and parents) get hangry…angry due to hunger. The best way to ward off having a hangry tween is to pack snacks and be prepared to stop for more food. Let your tween choose some of the snacks you are taking on the road. Make sure everything is not salt and sugar based, or you will be dealing with cranky kids of a different kind. Surprise Toy – This is an old trick from when the kids were younger, but it still works. Purchase a few surprises that you can give your tween along the way. A few ideas are a new journal, a new book, small craft kits, colouring books (the new adult styles) or a rubix cube. My kids still love collecting LEGO mini figures – they are a big hit on road trips. Musical Selections – Let’s face it, tweens don’t always like their parents’ musical selections. Yes, there might be a few bands that cross over, but musical differences can be pretty vast. Let your tween load up his iPod with music he loves…remember road trips with your pile of tapes and a walkman? Don’t want your tween to have his headphones on the entire trip? Make road trip playlists for the car and make sure to add your tween’s choices to the playlist. Listening to music as a family in the car can actually be a lot of fun…if everyone’s interests are taken into consideration. There are a lot of great, family friendly podcasts to listen to. Our last road trip was when we all discovered the awesome play Hamilton. I’ll forever associate that play with our road trip…that’s what road trips are for…making lasting memories. Stop the Car – Yes, the point of a road trip is to cover plenty of miles in a single day but, don’t forget to stop along the way. Making time for a little outdoor play along the way will help everyone in the car…even the driver. 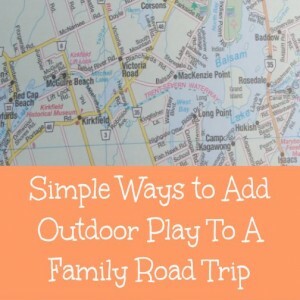 I wrote a post about the many ways you can incorporate a little outdoor play in your road trip…it’s not as hard as you might think. 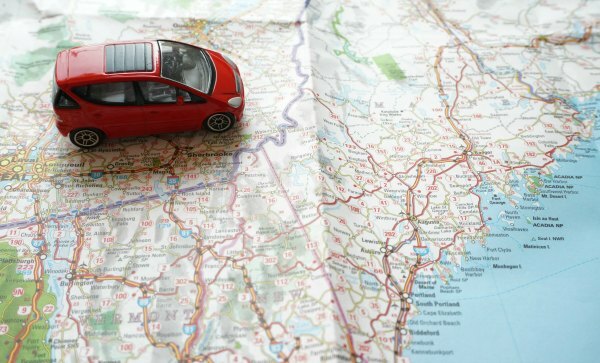 Map it Out – While most drivers now use some sort of GPS system, there is still a lot of use for old school maps. Before you head out on the road, highlight the route you plan to take on a map or in a map book. Let your tween be in charge of the map. Not only does this help your child answer the “are we there yet” question, this also allows your child to learn about where you are travelling. There is value in knowing how to properly read a map. A Little Tech Goes a Long Way – Vacation time is a time when parents want to unplug from work and the online world. However, parents aren’t tweens. Tweens want to stay in touch with life back home. When we were kids staying in touch meant we might have made a quick phone call to our friends or popped a post card in the mail. Times have changed. Many tweens have Facebook and Instagram accounts, they will want to check in on. Set aside a few minutes a day for tweens to send a quick message to their friends, or share a picture on social media. If you aren’t comfortable with “a few minutes a day” then set a schedule that works for you and your tween. While we want our kids to unplug, we need to respect the way they communicate with their friends. Leave time for downtime – Does anyone really function well when they don’t get enough sleep? Sleep is very important for tweens. Their growing bodies need rest…and rest doesn’t mean sitting in the back of the car. If everyone has eaten, had plenty to drink and they are still cranky – blame it on being overtired. Sleeping in might mean your day’s drive starts a little later, but that drive will be a whole lot more fun. There are so many other little things you can do to make a road trip fun for everyone. When the kids were toddlers it was all about strategic bathroom breaks and nap times – now that the kids are older they can really learn and be part of the trip. When we announced our east coast road trip destination my eldest daughter excitedly asked “Does this mean we can drive on Confederation Bridge?” Her enthusiasm and knowledge was awesome, road trips bring school books to life. 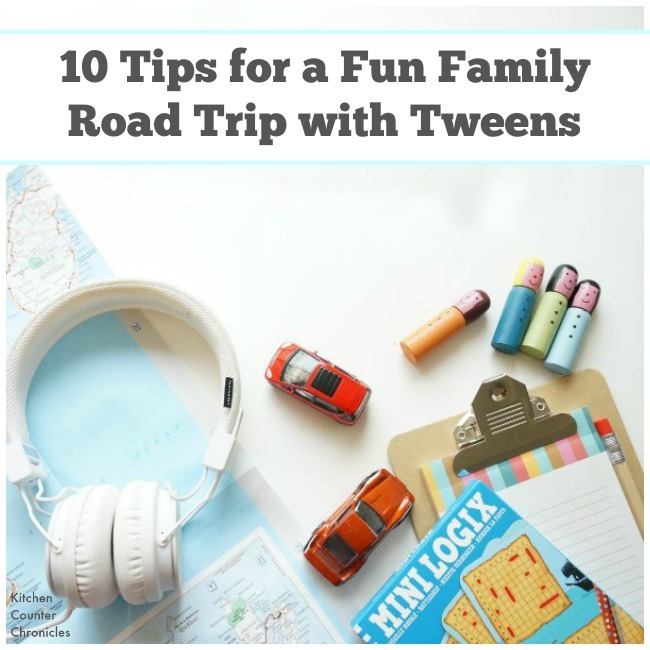 Do you have any tips and tricks for heading out on the road with tweens? Follow Jen at KitchenCounterChronicle’s board Travel with Kids on Pinterest.